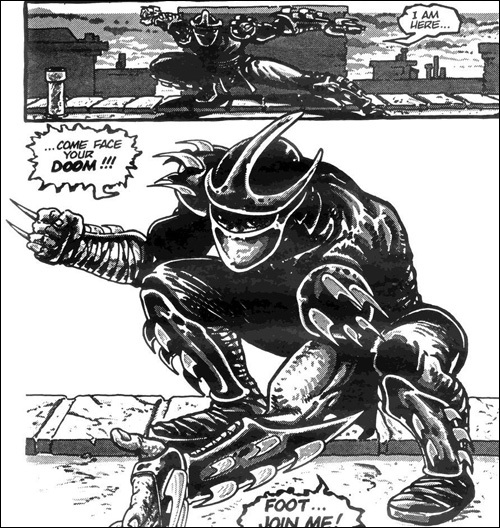 Shredder, aka master ninja Oroku Saki, who first appeared in the pages of Kevin Eastman and Peter Laird's original 1984 Teenage Mutant Ninja Turtles comic book series, is the leader of the Foot Clan and oldest foe to the Turtles and their master Splinter. In the 1990 feature film Teenage Mutant Ninja Turtles, Shredder was played by James Saito, while in the 1991 sequel TMNT II: The Secret of the Ooze, he was played by Francois Chau. In both movies, the character was voice-acted by David McCharen. 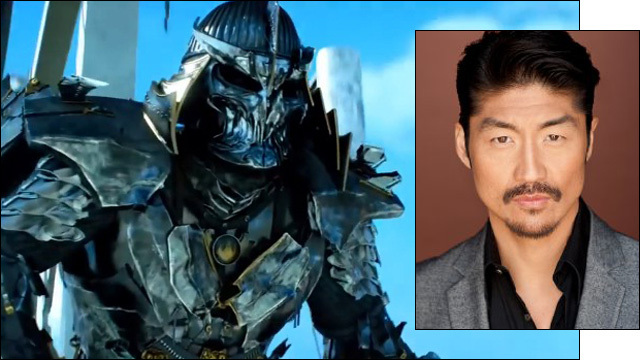 In the 2014 reboot, Shredder was played by Tohoru Masamune. 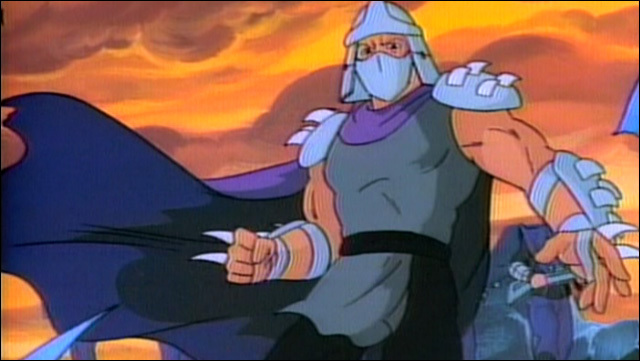 I didn't see it, but for some reason Shredder looked like a Decepticon in that movie. Weird, fun fact: in the first seven season of the 1987 animated series, Shredder was voiced by James Avery -- Uncle Phil from The Fresh Prince of Bel Air. Brian Tee recently finished filming the NBC drama pilot Love is a 4 Letter Word. Next, you can see him this summer as Takashi Hamada in the Jurassic Park sequel Jurassic World.